​Charles E. Brockway, Ph.D., P.E. has been serving clients since 1970, during his tenure as a research professor for the University of Idaho and since his retirement as an active professor in 1997. 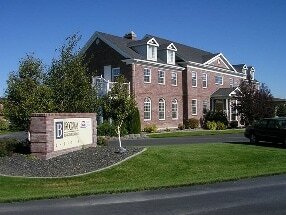 Brockway Engineering was formally organized in 1995 as Dr. Brockway teamed with his son, Charles G. Brockway, Ph.D., P.E. The company is small, and purposefully so. We believe we can achieve greater efficiency, higher quality, and more personal service by keeping things manageable. Despite our size, Brockway Engineering is a full-service company specializing in water resources engineering. From project design and specification to groundwater modeling studies to GIS mapping and analysis, Brockway Engineering can handle it.